Yesterday I continued working on Ketils album adding more percussion and colours. 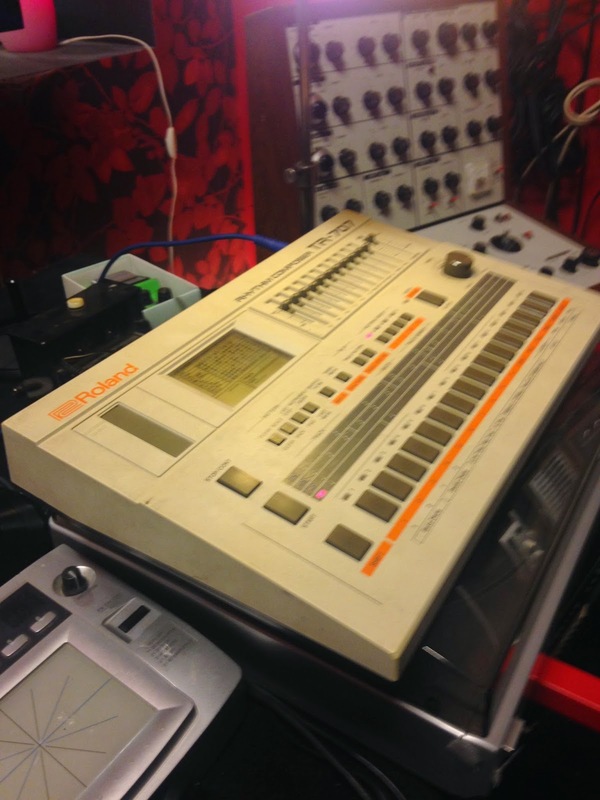 I also edited in Roland TR-707 Handclaps on all of my Snaredrum hits for the first section. Why? Because Ketil is worth it. Today Ill be finishing the end Orchestral section multidubbing snaredrums, Becken etc. Hopefully Ill have time to add some Celestes and Glockenspiels as well. Tonight Akaba will be in the studio taking pictures with Kjahart for her debut solo album. The cover is the first thing you see when you pick up an album. Tomorrow she will be mastering two tracks for radio release. I heard the mastered version of the Anima Morte album and it is nothing less than stellar. The band has really evolved and outdone themselves this time. Really stoked about this release. Loads of great songs and sounds. The secret pan-european project Ive been working with is slowly moving into place. I get mixes sent to me from a undisclosed location. Its also slightly terrifying. This morning I listened to a mix and I didnt recognize my drumming.....at all. So I went and checked the original files and it was all me.